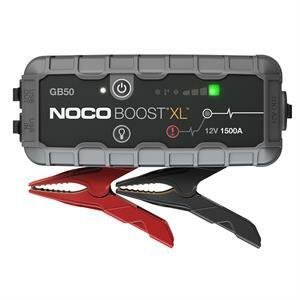 A lithium battery jump starter rated at 1,500 Amps. Jump starts gas engines up to 7 liters - and diesel up to 45 liters. 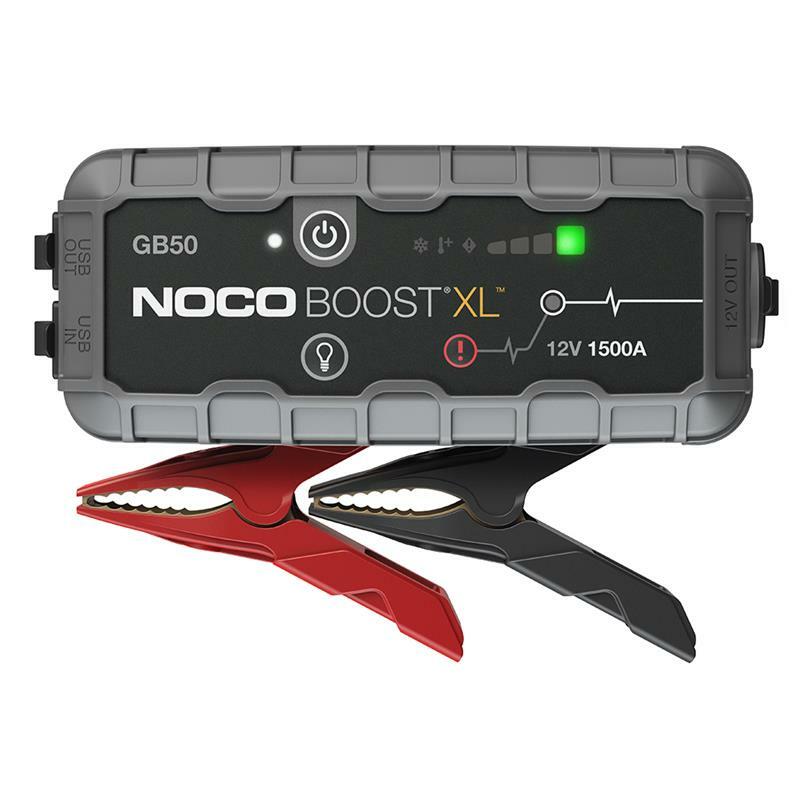 The GB50 is a portable lithium-ion battery jump starter pack that delivers 1,500-amps for jump starting a dead battery in seconds It features a patented safety technology that provides spark-proof connections and reverse polarity protection making safe and easy for anyone to use. It's a powerful battery booster that doubles as a portable power source for recharging USB devices, like a smartphone, tablet and more. Designed for a car, boat, RV, truck and more with gas engines up to 7 liters, and diesel engines up to 4.5 liters.